What takes 24 hours to make, costs US $10,000 and can improve the quality of life for millions of people? 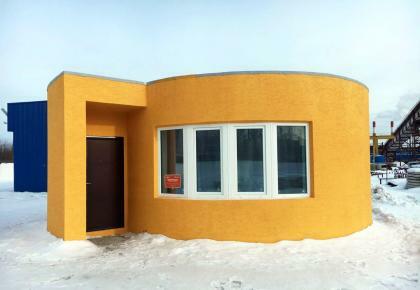 Apis Cor built the first 3D printed house in Russia … in the dead of winter. Why? 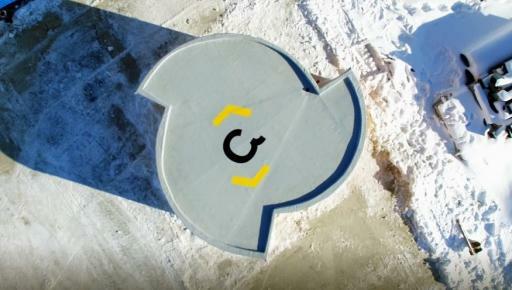 The San Francisco start-up company wanted to prove that its mobile printing construction technology will work in all conditions (and perhaps even on different planets), including -35 degrees Celsius. Apis Cor wants to provide affordable, fast and zero-waste housing for all, and it aims to be the first to put houses on Mars. Apis Cor was awarded the Best Hardware Startup 2016 by the National Research University–Higher School of Economics (HSE) in Moscow. It is the first company to make the leap to full mobility, allowing for entire houses to be built in one go, rather than in parts that must be assembled. While other industries have jumped at 3D printing technology, the construction industry until now has been limited by machines that could only function under reliable conditions, such as in a factory. "We believe that this [Best Hardware Startup] award will accelerate our entry onto construction sites both in Russia and globally. But this is not our ultimate goal; we want to be the first company to start building houses on Mars," said Konstantin Nefediev, Apis Cor representative. A 3D printer applies layer upon layer of a material to create a finished product. From installation to project launch, the Apis Cor printing technology takes about one hour. The concrete quality is consistent because the system uses a Mobile Automated Mix and Supply Unit (MAU), which synchronises the mixing with the printing. The streamlined process means there is little or no construction waste, which is great news: it’s estimated that 25–30 per cent of all waste generated in the European Union is construction and demolition waste (CDW). The printer is a tower crane, which runs on 8 kilowatts of power, and clients are charged by square metre. Self-bearing walls can be printed, resulting in 70 per cent savings compared to traditional construction methods, which use individual blocks. This exciting technology comes with a slight caveat: Apis Cor isn’t able to print windows, doors, plumbing or insulation yet, and the recently built house in Russia was a tiny 38 square metres. It may be small, but at only $275 per square meter, that’s a pretty good (and fast) deal. Apis Cor and its five partners—housing developer PIK Companies Group, Samsung Electronics, TechnoNICOL corporation, Bitex Reibeputz company and Fabrika Okon—built the micro-dwelling for US $10,134.